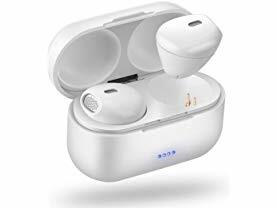 Today ONLY (2/8), AirDots - Bluetooth Earbuds With Charging Case &amp; Secure Fit Tips $24.99 (Retail $59.99). Introducing the world's most compact bluetooth ear buds: AirDots. AirDots use state-of-the-art Bluetooth technology to wirelessly stream audio to earbuds that measure just 2cm tall and weigh only a few grams. Do'nt worry about staying put - AirDots include super comfortable secure-fit wing tips to perfectly secure the buds in your ears. The included charging case measures just 1 inch tall and can charge your AirDots 10 times on a single charge. AirDots are the most compact and portable wireless Bluetooth earbuds in the world! SHOP NOW!🎁 PLEASE help us grow and keep going - share with a friend or two and don't forget to sign up for our once daily email subscription.